It's been exactly a month since the Vets Memorial Auditorium in Providence, Rhode Island transformed into a center for extreme female-identifying power. 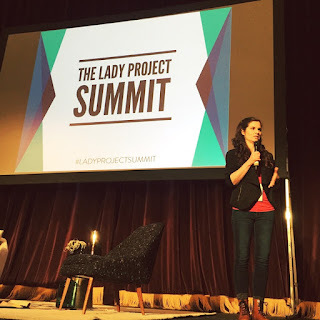 I attended the Fifth Annual Lady Project Summit in March at a moment when I felt equally overloaded and paralyzed. I knew that I had a lot of irons in the fire and I knew that I wasn't necessarily ready to release anything, so even though I was already struggling to keep up with my contributing positions, novel writing group, and Be Your Own Book Club, I jumped at the chance to cover the Summit. I went to take notes, to get some good stuff to share with you readers. I left completely fired up, inspired and clutching a list of tips to support my hustle at home. 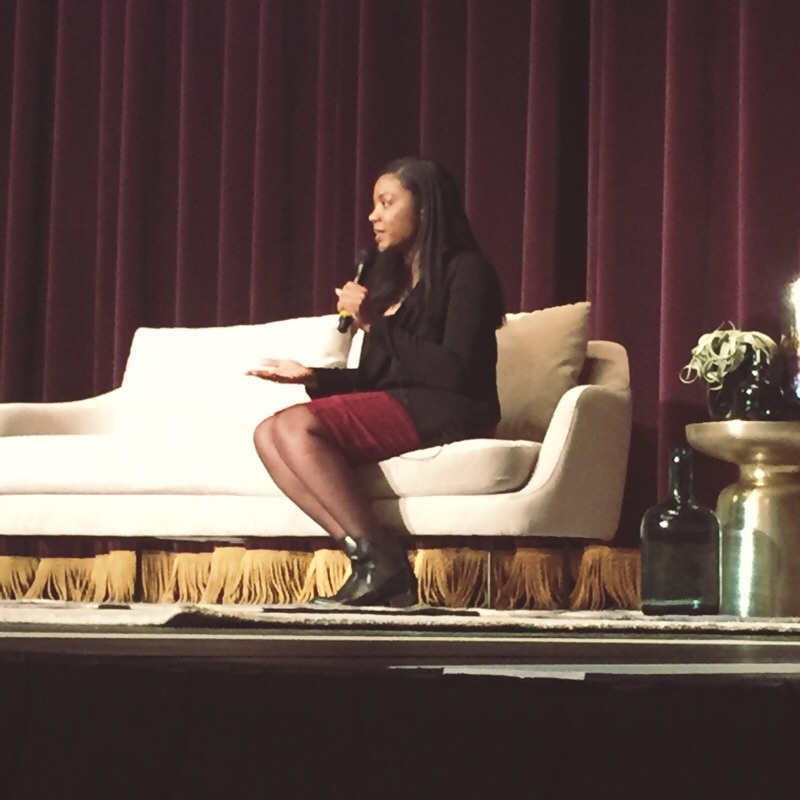 With enough time passed for me to really absorb the dizzying array of speakers and panels I heard at the Summit, I wanted to share five of my favorite messages. Among the first people Summit attendees heard was the female governor of Rhode Island, Gina Raimondo. Opening with the statement, "You could say it's an interesting time to be a woman in America," Raimondo called on women to use their voices and continue to dissent. The reminder that our power comes from our conviction was well timed. Throughout the day, the theme of rejecting the ingrained narrative that "good" girls and women are quiet and submissive kept rearing it's gorgeous head. "Each part of my life provided respite from the other and gave me a sense of proportion that my classmates trained only on law studies lacked." The idea of separate parts of life providing respite from the others is comforting me to, and speaks to a compartmentalizing that I'm really striving for. But one of my favorite takeaways from Ziegler was the declaration that taking credit for the things you do, whether or not they're classified as your "job," is vital. "If you do the thing, you are thing." That statement makes me want to get started immediately. This is one of those annoyingly pressing messages that the universe sent me several days in a row. My yoga teacher said it, and then Lisa Jakub said it during her powerful keynote, and then Jennifer Romolini said it during her lunchtime chat. Over and over, the reminder that it is okay for things to be hard. It's okay to feel awkward, to get rejected, to stay up late, to push it past what feels cozy. Past what feels possible. Lisa Jakub spoke about facing anxiety head on, instead of hiding away from it. Jennifer Romolini talked about starting from absolute scratch, mothering and working and going to school all at the same time and sometimes feeling miserable. All of it was necessary. All of it sparked growth. 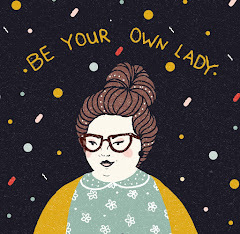 In an age of enlightenment around women prioritizing their needs, I feel like the distinction between self growth and self care needs to be carefully made. Self-care does not necessarily mean doing whatever feels good at the moment, but damn it do I let myself get away with a lot of avoidance and use the term to justify. The message, spoken sweetly and with encouragement, that it is okay to feel like it's a slog, was received loud and clear. 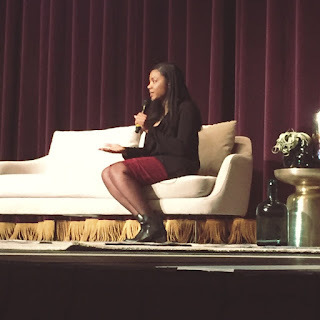 A lot of what was communicated at the Summit was familiar to me- ideas that I understood but needed help actualizing, or things that were adjacent to truths I already held. It was a supportive, comforting feeling. But this point shocked me. Several times, women shared stories about incredible acts of bravery- ending marriages and wildly successful careers, starting over on their own terms- and then admitted that they were still too scared to call themselves writers. Like Cheryl Strayed tells us, writing is not coal mining. It's not surgery and it's not frivolity. We let it hold too much power- we're not good enough or we don't do it often enough or we haven't hit a certain arbitrary milestone that lets us claim the title or it's too silly to say out loud. I thought this recurring theme of people struggling to call themselves writers was really interesting. I also found it interesting (encouraging? amazing?) that both women who directly shared stories about being afraid to call themselves writers have books coming out this year. I wonder how many of us who were there that day are introverts on some level. A lot of the people I knew or recognized were from Instagram or Twitter, contacts I might have made the last time I attended the Summit two years ago. It's clumsy, when we're used to shooting out one liners and appreciating each other's contributions with simple "likes." But it is so important. There was a physical power in being together that day, literally brushing elbows, making small talk at lunch, hearing each other laugh and seeing each other nod. By the end of the day, keynote speakers were commenting on how much vulnerability and community support they had witnessed throughout the Summit. For some, the in-person connection is a necessity, and for others, it can be terrifying, I am one who would typically choose an evening following along via the hashtag to being out among the people, but I recognize the importance of physically being there. The conversations and connections I made during the day drove home the feeling of community, an element that can be reached online but is deepened when women gather together. Driving home, I thought of how lucky I felt to spend a day completely surrounded by powerful ladies who all made the choice to spend the day together getting even more badass than they had been that morning. Does this connection sound appealing? You don't have to wait for next year's Summit to get a taste. 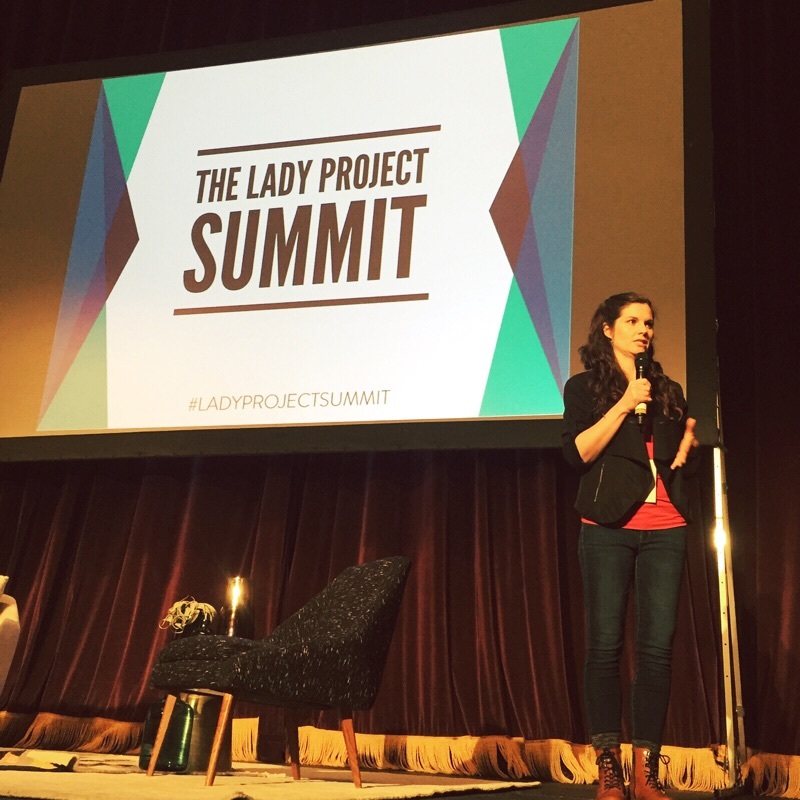 The Lady Project has groups around the country and they meet for events on a regular basis. Check out the nearest chapter and consider a membership. Meet up for a book club discussion or crafting night or a seminar on creating a mission statement. The benefits of gathering with other strong women are felt immediately and will likely still be on your mind a month later. I know that was the case for me. 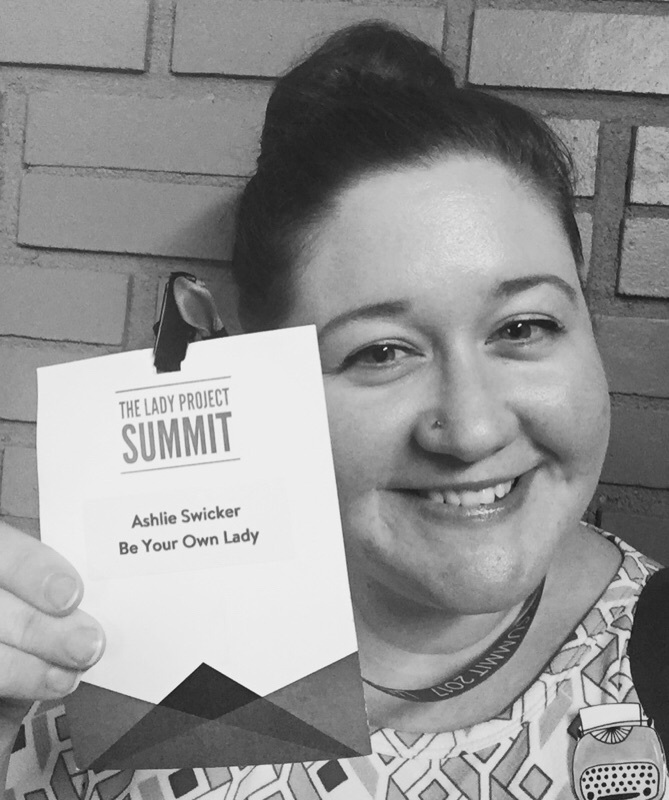 I was given a pass to attend The Lady Project Summit in exchange for honest coverage of the event. Opinions are my own. Considering the professional side, event management is a glamorous and exciting profession that requires a lot of hard work and enthusiasm. But only a few universities offer diplomas in management of corporate events NYC and organizational skills. Really!I cant believe that such an important tips are available free.Would recommend other womens to read it.Such a useful Blog.Good Job,Keep it up.Womens would be surely feeling satisfied after reading it. Nice and fascinating blog!. I'm very happy that I actually have visited your site. I really liked it. I would suggest everyone to read this. Useful Blog! Looking forward for additional glorious post. Thanks for sharing this!